OMG Posters! » Archive Burlesque Design Horkey Onsale Tomorrow!!! - OMG Posters! Burlesque Design Horkey Onsale Tomorrow!!! 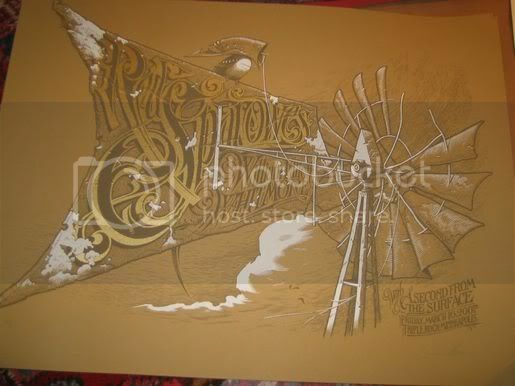 Burlesque Design will be releasing two new items by Aaron Horkey tomorrow.� The first is the Red Sparowes poster previously featured on the blog.� It will be $25 shipped, and at 18 x 24, its an easy frame-up.� In addition to the poster, Burlesque will also release the t-shirt version of Horkey’s “Black Osprey” design.� It is printed on dark grey American Apparel shirts, and will be $20 shipped.� These items will go on sale tomorrow, 3/27, at 2pm CST.���� Visit Burlesque Design at the appropriate time.